Energy harvesting seems to be the rage these days. 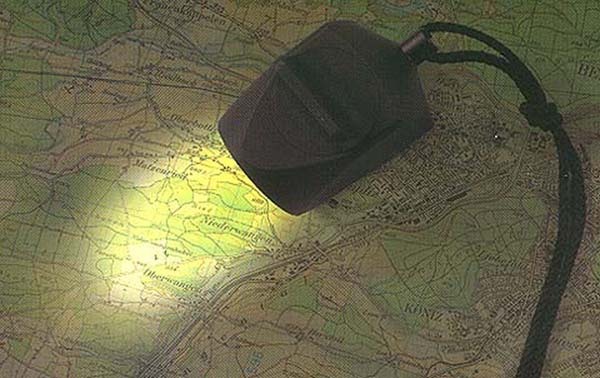 All kinds of devices are being used to capture a tiny bit of power from ambient light, heat, vibrations, sound and stray RF. I often wondered if the beta type radiation of tritium gas could be used as an energy source, when no other form of energy can be harvested. 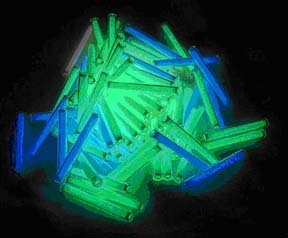 Small plastic vials containing a bit of gas and some visible light emitting phosphor have been used for many years as low power lights. 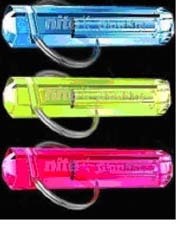 These are often sold as key chain lights, lights on wristwatches and sighting lights on some weapons. The half-life of tritium is about 12 years, so these devices would glow for a long time. 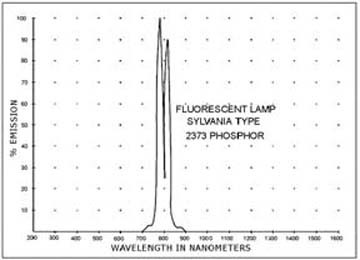 My idea is to use a special infrared light emitting phosphor inside a plastic vial containing the tritium gas. 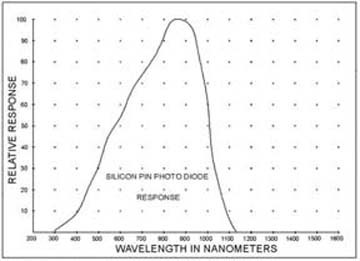 The infrared light would be a better match to the response curve of a typical silicon solar cell than visible light. A long skinny plastic assembly would house the gas, phosphor and the solar cells as shown in the sketch below. A higher gas pressure inside the assembly would increase the available power. 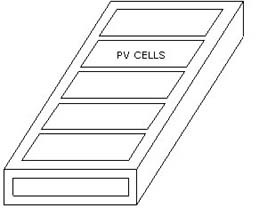 The solar cells would be wired in series to produce a suitable voltage. The current generated by the solar cells would be fed to a super capacitor, so a higher peak current would be available for low duty cycle devices such as an RF transmitter. I estimate that twenty microamps of current could be produce using this method with a voltage of perhaps 5v. That would yield a power of about 100 microwatts. That may not sound like much but considering it would continue cracking out that power for 12 years it adds up to 38,000 joules (watt-seconds) of energy.